It is finally summer and rest and relaxation are absolutely necessary. Lazy, sun-kissed days filled with sitting on a beach seem to be the only thing we can think about. Here are the best beachy hotels that are just waiting for you to come and relax where sand, surf and sun are just outside your room. Your job? Kick off your sandals and enjoy. 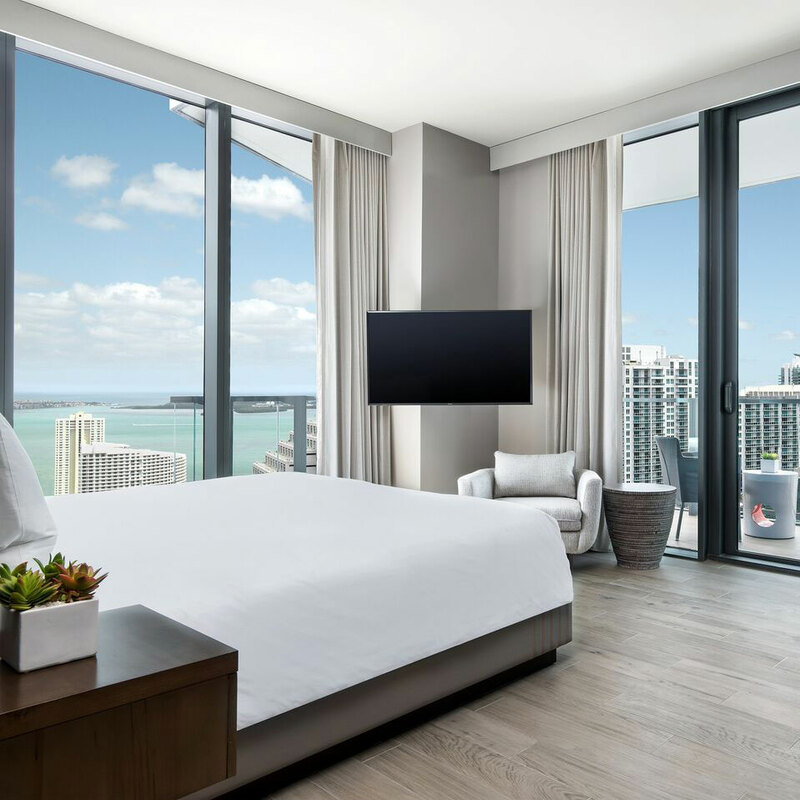 Away from the busy stretch of South Beach, the Hong Kong-based Swire Hotels new EAST mixes its 352-rooms with Zen woodwork and sleek furnishings – playing on both Miami’s tropics and famed architecture and floor-to-celling windows with go-big-or-go-home ocean views. Visit the Uruguayan outpost of Quinto La Huella for wood-fired seafood and the rooftop bar, Sugar, for Asian-flared tapas. Just a few hours from New York City, the fashionable are returning to the Jersey seaside town of Asbury Park where old-school boardwalk glam once ruled. The clean, minimalist, white-tinged rooms of this hotel range from bunks (that sleep eight) to generous suites with dreamy ocean scapes. For fun, pop by the beer garden and at night, it’s all about movies and cocktails on the roof. In Negril, Jamaica, the reimagined Cliff’s spacious 22 suites are flanked by floor-to-celling windows and outside a private terrace featuring by a leisurely swinging hammock (best enjoyed with a book, a Bob Marley song and ice cold Red Stripe in hand). In the mornings, sign up for yoga or a spa session. Later, enjoy a dip in a natural saltwater pool or nab a seat at one of the three bars – perfect for a rum punch or two. 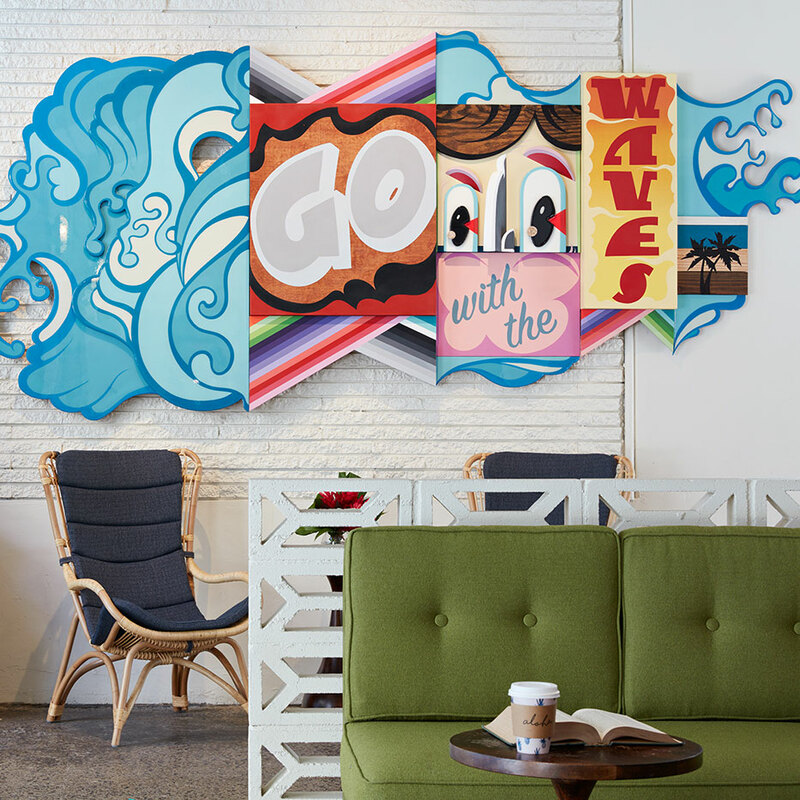 This boutique Waikiki hotel is a throwback to those 60’s style surf vibes. The 112-rooms are outfitted with vintage upholstered headboards and midcentury furnishings. The Swim Club features an outdoor pool bar and doesn’t skimp on Hawaiian beats. You won’t want to skip dinner at local chef Ed Kenney’s Mahina & Sun’s restaurant or dropping by the hip Olive & Olivier boutique with local wares. Overlooking the Pacific Ocean and mere steps from Huntington Beach, it is all about low-key, dreamy coastal vibes at Pasea. The 250-rooms pick up natural elements like distressed wood and teak mixed with local Cali art and organic furnishings. Amenities include FRESH toiletries, custom Frette linens and super-soft hooded sweatshirt robes. Pop your feet in the water, embrace the surf culture and don’t miss the epic sunsets. On Martha’s Vineyard, there’s a cheery approach to coastal life at the Christopher. The chic, bright rooms play on poppy French Caribbean colors like canary yellow, bright teal and soft pinks and purples alongside patterned tiles and reclaimed wood pieces. Enjoy a homemade breakfast in the mornings, hit the local shops in the afternoon and for stellar sunset views of the Edgartown harbor, opt for the balconies of the Lark Suite. 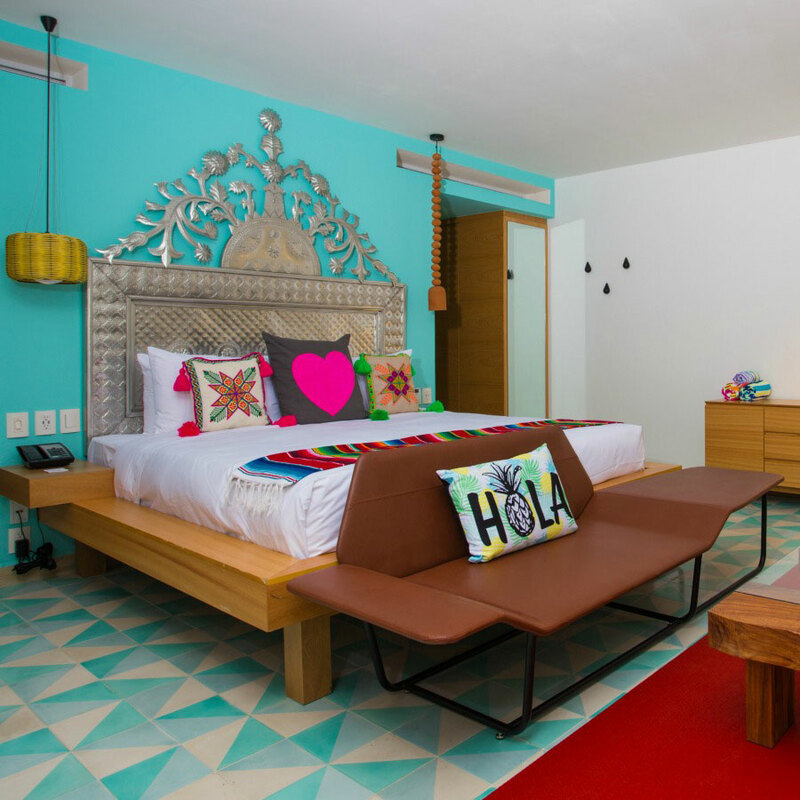 In Nayarit, traditional Mexican culture and artistry meets local surf culture with guestrooms blending a mix of boho raffa chairs, kaleidoscopic surfboards and punctured tin headboards. The light-filled villas are boxy, minimalist affairs flanked by natural wood, white walls and glass. The buzzy pool scene has cabanas, an open grill with tacos and margaritas and beats courtesy of rotating DJ’s. 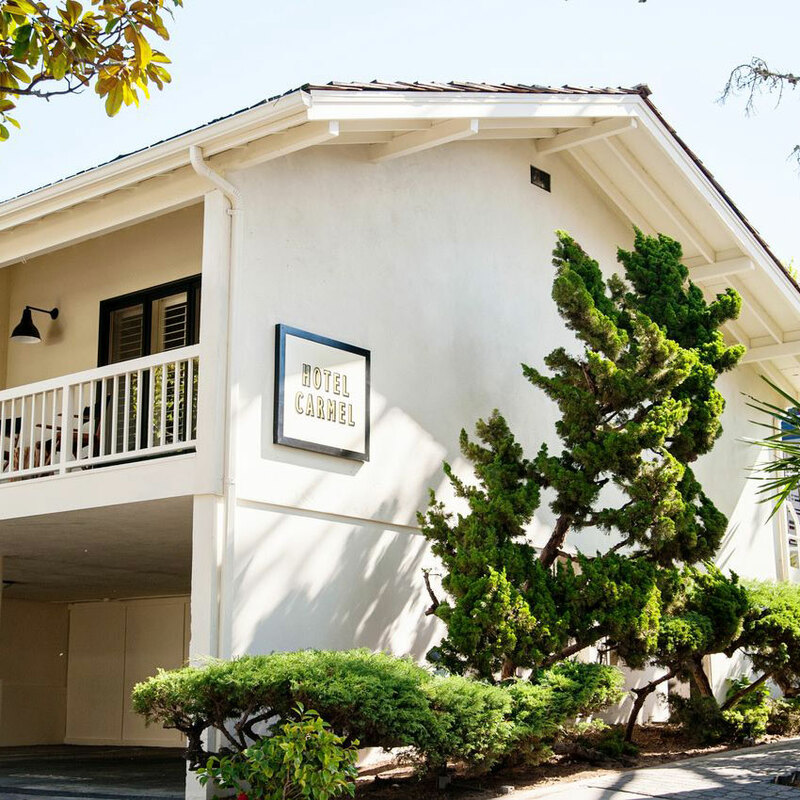 A mix of Big Sur modern and traditional Carmel-by-the-Sea, the 27 rooms at this cottage-style hotel bear a light, neutral palette and are flanked by warm fireplaces for chilly evenings and balconies for taking in those California ocean breezes. Slip into Brophy’s Tavern at night for fish and chips or read on the warm courtyard and later, get out into wine country, only a 10-minute drive.